Disclaimer: This blog post contains affiliate links. If you click through my links, I might be rewarded a credit or commission (at no extra cost to you). Please note that I truly appreciate and respect your trust in me, therefore, I only recommend tools that I personally believe in and love! You started your agency because you wanted life to be easier, and not harder. While that’s true, many businesses have been adopting amazing tech tools as a solopreneur. But what happens once you’ve grown beyond yourself? This is a common thought that’s floating around your mind: “It’s faster if I just do it myself!” While it may be true, it’s also one of the reasons why it’s keeping you from leveraging the tools and team to improve the efficiency in your agency. You already know the value of streamlining and automating your agency for growth and profitability, and to accomplish this requires standardized processes and workflows. Tech and apps contribute to achieving this value, but ultimately, it depends on how you are leveraging them to impact your most valuable asset: time. Dubsado first made its introduction into my own business and services two years ago when I was researching for tools to help my clients in streamlining their workflow. And while I didn’t jump on it initially, I gave it a shot. And then like many other stories you may have heard; I fell in love with it, and the rest is history. Of course, it wasn’t always a fulfilling journey. There were still lots of gaps and developments in the ability to develop proposals and structure invoices easily. Now, we can see why it’s making major impact in a one-person-show because it helps a solopreneur operate their business efficiently. You see, before fully leveraging Dubsado, I had designed my own “all-in-one” solution through WordPress that did it all from generating a proposal to contracts, project management, and more. I loved it because it was truly a workflow-based system. However it wasn’t sustainable. It streamlined and automated much of my business workflow, but…. The time it saved me was then spent on maintaining the system. That’s when I decided to take a look at Dubsado again. It had, by that time, released a few more features that made me jump over. It allowed me to focus on staying on top of my business tasks with confidence in my daily business workflow. Created by Jake and Becca Berg, they started this because they saw a recurring theme and need in their community. It was developed with the goal to tie multiple systems together between a CRM (Client Relationship Management) and a CMS (Client Management System). Within 2 years, they grew rapidly and are proud to be self-funded. Although they grew rapidly, they paced themselves by refining their product and thoughtfully implementing features their users and community were providing them. What does Dubsado boast to do? In a nutshell, it streamlines and automates your client process such as onboarding, lead generation, invoicing, and proposals, which are just some of the most common uses of Dubsado. Let’s take a dive into those features a bit more. Although Dubsado is known more as a client management system, I view it as a relationship management system. While it greatly improves your business efficiency with automation and workflow, you can do so much more with it that just client management. Dubsado continues to always grow its features based on user feedback. One key feature that I’m looking forward to are more reports and the ability to analyze leads and clients. Let’s first touch on the features that are not used often. Such as the accounting features of Dubsado. If a business has a bookkeeper or an accountant, they are likely using a different accounting platform such as Quickbooks or Xero. Dubsado is a best fit for the one-person-show, because it can also help you manage your own expenses in order to utilize and leverage the Profit and Loss statements. Another area that is under-utilized is the project management section. While you can create tasks through an automated workflow inside Dubsado, it is not powerful enough for my business processes. Simple activities will benefit from its simple task management alongside a kanban style (great if you’ve used Trello on a small scale!). If you manage your client work/projects outside of Dubsado in project management platforms such as Asana, Trello, ClickUp, Teamwork, etc. you can integrate these platforms to Dubsado and build an automation bridge to reduce redundancy and seamlessly bring information across both tools. Managing relationships is critical to any business. I often use Dubsado to manage not only clients, but also contractors and collaborators. Under “Address Book”, you can record call/email notes and any other important details pertaining to your contact. While the features are still basic, I have faith that it will continue to evolve and grow. Having all the information at your fingertips will allow you to scale your relationships, and eventually hand them off to your growing sales AND operations team. Relationships, although primarily are between yourself and people, can be expanded on. I encourage you to explore how you can build a relationship between your contacts and your brand. The CRM feature in Dubsado will help get you there! Coffee chat workflow for collaborators and relationship building. Collaborator workflow to develop strong referral partnerships. Contractor workflow from application to interviews to contracts and beyond. Goodbye workflow to wrap up your client work experience and scheduled check-ins. Automated workflows can be very powerful, but before you enable it, take the time to map out what your existing workflow (whether it’s from another system or it’s manually performed) looks like. Then you can map out what your Dubsado workflow will look like leveraging its native features. Any workarounds should only be constructed if it is critical to your business processes. I’ve been using Dubsado almost at its beginning and have seen it’s impressive impact on my business. Since then, I’ve helped countless clients start their micro-business on Dubsado, and now effectively scaling their agencies, still with Dubsado in tact. One of my clients have commented that she can’t imagine her business without Dubsado as it’s immensely helped her business and she can trust her processes. When you have team members who wear different hats, particularly if there are Assistants, Sales Coordinator, or a bookkeeper, you can add them as users to Dubsado. You’ll be able to automate tasks to them within the workflow steps. An example would be once a contract is signed by a client, your bookkeeper will get an email to set up recurring invoices. You can also automate a knowledge-driven email series. This is extremely useful If you have a high-touch onboarding process to familiarize your clients with your products or services. You can drip the emails out to your clients in a very gentle way. I’ve watched the Dubsado family grow from hundreds to now over 14,000 in their community. Although it’s a bustling place, if you are a an agency owner looking to improve workflows, be mindful of how to leverage the online community. There are lots of great tidbits that you can take to implement in your own Dubsado but be aware that not everything is great information for your business model. 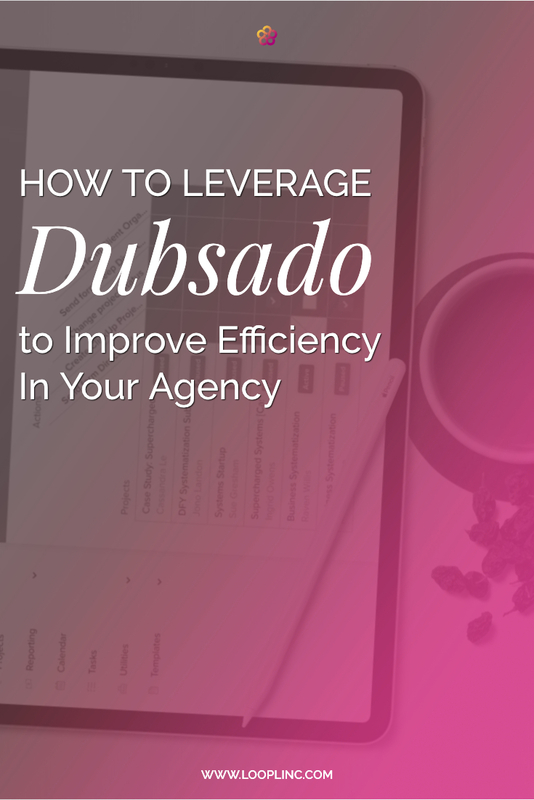 We’ve gotten through the bulk of what Dubsado can do for you and your agency! Now let’s touch on a very boring topic, but nonetheless, a VERY important one! While Dubsado is a tremendous tool, there are a number of best practices you’ll want to evaluate and incorporate into your business. Here are the top three best practices I encourage you to review. Dubsado does not replace your email marketing tool. While we would love to blend the two, Dubsado is not a platform that can do this. Why? As part of the CANSPAM act or GDPR Compliance, email marketing requires you to have not only consent, but a way for email recipients to opt out, or unsubscribe. Sending emails from Dubsado leverages your SMTP server/domain and does not provide this option. Be mindful of how you leverage sending emails; emails sent from Dubsado should be mainly to nurture and manage relationships. Limit Workarounds outside of the system. If you find yourself trying to do something that the system doesn’t support, you will need to evaluate if it aligns with both the system and your processes, or if it is truly a gap in the system. Remember the 80/20 rule. The system is only as great as you keep leveraging it. This means before you go building something in Google Sheets, explore if it can be done within the system! Perform routine audits and reconciliation. Healthy systems and workflows mean your business is purring like a finely-tuned engine. 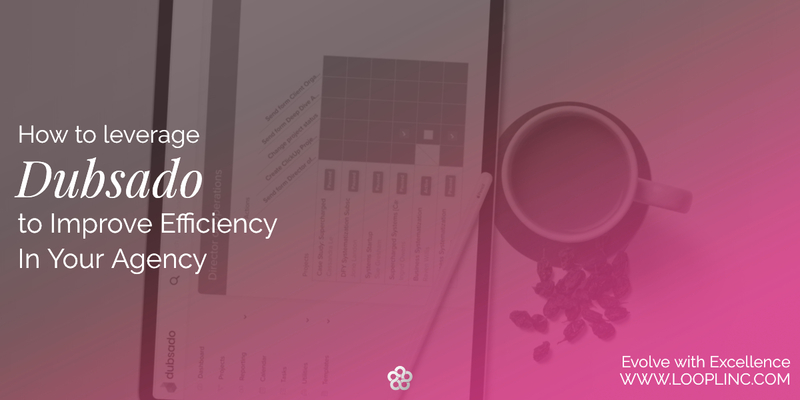 Set aside one day, quarterly, to review all of your workflows and business processes. Add a recurring task in your project management tool, or set a reminder in your calendar. This is an important step to make sure all is still functioning well, what can be improved and to make sure bottlenecks aren’t forming. When we get too comfortable, or complacent in our tools, we can easily add additional steps or continue to re-work the workflow until it’s more complex instead of simplified. If you feel that Dubsado is no longer a good fit with your agency, don’t be too quick to jump off of it! A past client felt that she no longer needed Dubsado. She was growing, getting business, and felt that Dubsado wasn’t working in her processes, so she deactivated the tool. Suddenly, the features that she were using in her processes were broken and she realized that there were parts that Dubsado played in her workflow, even though she wasn’t leveraging its automation. Before you move from one tool to another, make sure you have a workaround or alternate process in place to limit things falling through the cracks. You may have heard me use the pareto rule; aim to maximize the utilization of a tool for 80% of your business processes and 20% with workarounds or a complementing platform. Tools are only effective pending on how much you use them. Optimize the tool within your business processes and integrate it with your team. I’m guilty of using this term “set and forget” when it came to automations, but after running my business with automations in the last few years, I have now come to say “set and simplify”. While automation is great, platforms such as Dubsado will continuously improve their functionality. They can roll out features, or take away features. Before you decide to jump into the system, the first thing you must do is audit your own agency to understand what your existing processes are; where you want to be, and what is the gap. You’ve heard this over and over before, but it’s important to not miss this step! You may end up breaking something that already works; so you can approach it with careful planning to make the shift. Are you leveraging your tools and systems to improve efficiency in your agency? I would love to hear more about what kind of systems and tools you have in place, and if they’re working FOR you!